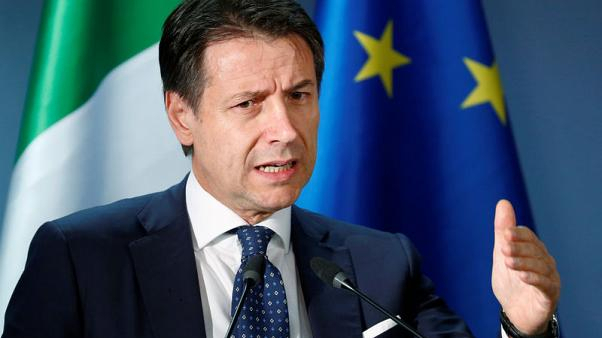 Italian Prime Minister Giuseppe Conte expressed hope on Friday of reaching a deal with Brussels this weekend over his government's revised 2019 budget to avoid an EU disciplinary procedure, but offered few new concessions, Reuters reports. The European Commission rejected the Italian budget in October, estimating it would not lower the country's huge debt and declaring it in blatant breach of EU fiscal rules. However, Rome submitted the revised plan this week with a lower deficit. "We have to try to reach a deal as soon as possible, I hope this weekend," Conte told a news conference after a summit of European Union leaders. He said he was confident of finding a solution with Brussels. At the summit he sought the backing of EU leaders who have the final say on EU disciplinary procedures, but his peers remained cautious. "I hope we will have an agreement soon," German Chancellor Angela Merkel said. Conte has offered to lower the headline deficit to 2.04 percent of Italian economic output from a previous target of 2.4 percent, but it is unclear whether the new figure is low enough to dissuade the Commission from moving ahead with disciplinary steps. Talks on Friday between Finance Minister Giovanni Tria and EU economic commissioners did not produce a breakthrough, officials said after the meeting. In a remark that might worsen the deadlock, Conte said Rome could not reduce its deficit target below the 2.04 percent. "We have no margin to negotiate like in a market," he said. Conte, who leads a coalition of the anti-establishment 5-Star Movement and far-right League, said he could not accept new tweaks that would reduce the number of people who would benefit of the pension and welfare reforms envisaged in the budget. "The deficit target we presented is clear. On the basis of that target we should conduct the technical work" with the EU, he added. He also said he wanted Brussels to allow more leeway on Italy's planned spending on a judicial reform and on investments to prevent natural disasters. In a more conciliatory remark, he offered a more prudent fiscal target in three years, saying the government's deficit would be below 1.5 percent of gross domestic product in 2021 instead of the planned 1.8 percent. Conte also declined to say whether the country's structural deficit, which excludes one-offs and the effects of the economic cycle, would fall as EU rules require.